A 36-YEAR-old man has been refused bail after being charged over an alleged hit-and-run incident in which two men were seriously injured after being struck by a car in Dublin yesterday morning. Paul Connolly, aged 36, with an address at Cregg Court, Robertstown in Co Kildare, appeared before Judge Alan Mitchell this evening at Dublin District Court. He was charged with road traffic offences in relation to an incident on the Coolmine Road in north Dublin in which two male pedestrians were seriously injured when they were struck by a car. A female pedestrian also sustained minor injuries. The two men were both taken by ambulance to James Connolly Memorial Hospital. Connolly was charged with dangerous driving causing bodily harm to Francis Dhala, aged 19, and Michael Igoe, aged 54, and failing to remain at the scene. He had been detained at Blanchardstown Garda Station where he was charged with the offences at just after 3.30pm today. Defence solicitor Eoin Lysaght applied for bail on behalf of his client when he was brought before the district court. Citing the seriousness of the case and strength of evidence, she said the offences can result in a maximum sentence of 10 years in prison. It was alleged at 9.30am yesterday, information was received that a vehicle had mounted footpath near railway line crossing, she said. Two pedestrians were seriously injured after being knocked down, it was alleged. Francis Dhala had been on his way to Maynooth University. It was alleged the driver made off without stopping but was eventually arrested nearby on Castleknock Road. Bail was refused and Connolly was remanded in custody to appear at Cloverhill District Court on 8 May next. Email “Man (30s) refused bail after being charged in connection with alleged Dublin hit-and-run”. 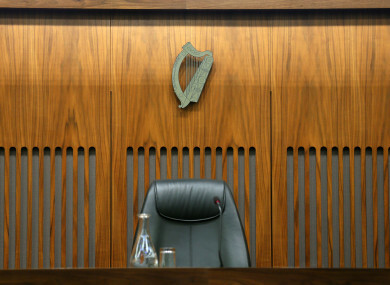 Feedback on “Man (30s) refused bail after being charged in connection with alleged Dublin hit-and-run”.